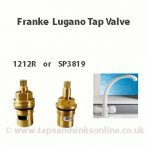 Bluci Vartello Tap Handle Part 1248R is the current replacement handle for San Marco Venice Kitchen Tap. 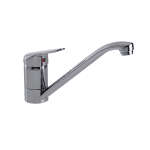 Please note that the picture is only one version of this handle. 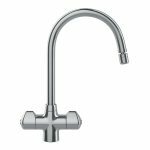 More recent models are coming with slightly flatter styled handled. 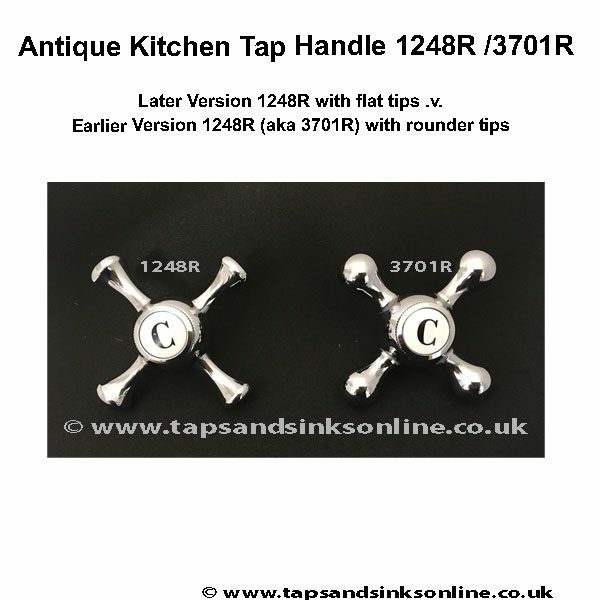 Antique Kitchen Tap Handle 1248R available in four different finishes. 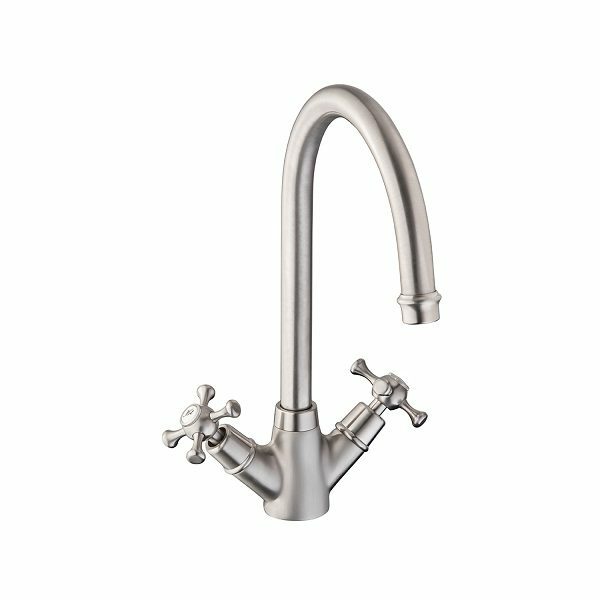 If you want the earlier, rounder tip style, please go to part 3701R here which is only available in Chrome and Brushed Nickel. 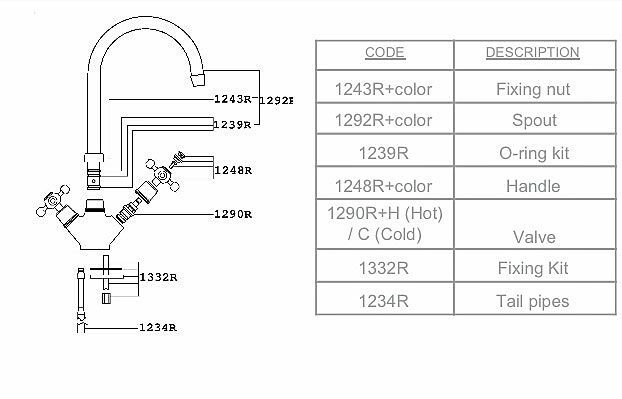 We do not sell the indices separately. Indices measure : 14mm at thread. 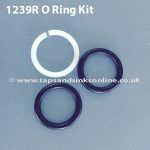 18mm at widest part of indice. 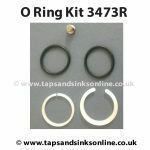 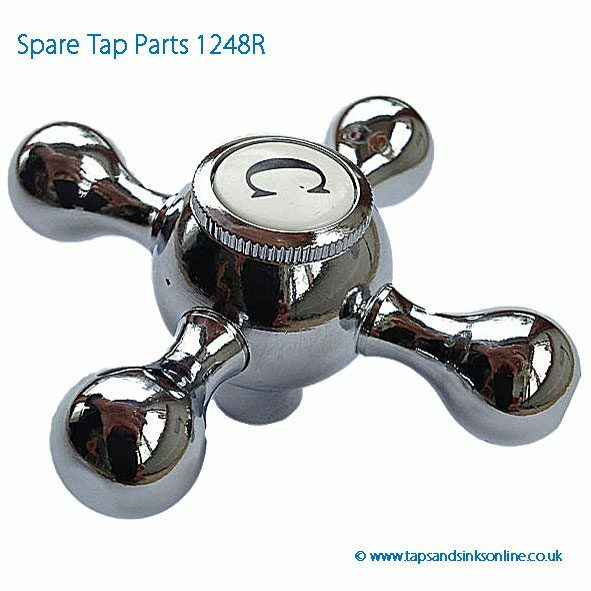 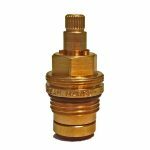 Spare Tap Part 1248R available in four different finishes. 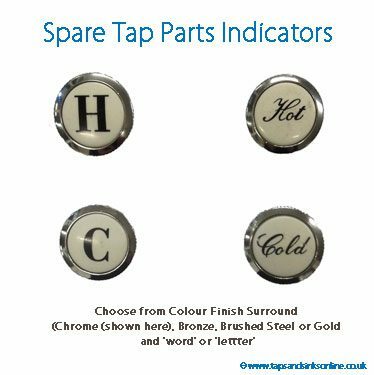 When selecting the finish please also select whether you want the Hot or Cold Indicator to be as the written word .e.g ‘Hot / Cold’ or in Letter form ‘e.g. H or C.
Alternative Venice Tap Handle – if in doubt to which handle you have, please order a pair and then you are guaranteed matching pair of handles. 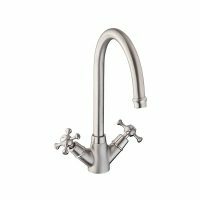 Please note that earlier versions of this handle are more round and later versions are flatter at the tips. 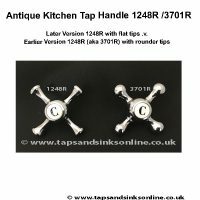 While the same product code 1248R has been used on installation guides whether the handle is rounded OR flat tipped , we are using the code 3701R for the 'round' version of this handle, and 1248R for the later version of this handle with the flatter style tips to distinguish both styles. 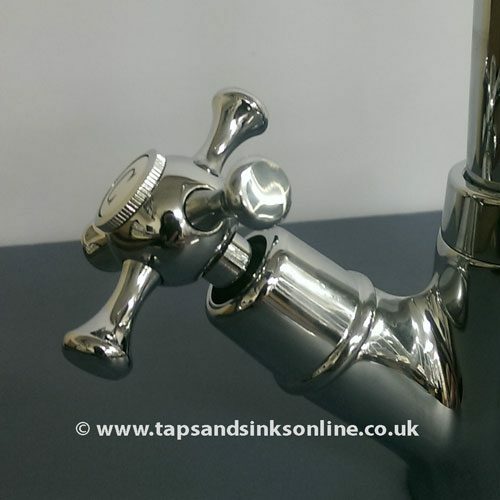 The earlier 'rounder tip' style version is only available in Chrome and Brushed Nickel.